A cantankerous fete of uneasiness holds Bayelsa State at siege. What had been a long kept secret in the corridors of the political astute has come out in the full open resulting from a recent collapse of the Bayelsa State governor at Abuja Airport while exiting the airplane on the Sunday morning hours of November 15th 2009. 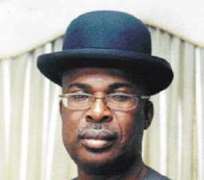 Ukpakareports.com gathered Governor Timpre Sylva slump came as a result of an aggressive drug habit – a drug habit known to many in the political circle in Yenogua. Following the collapse, Governor Sylva through the efforts of friends and family, was immediately flown to New York State in the United States of America [USA] for medical treatment at medical facility. Reports indicate that the Governor Sylva arrived to New York on the early hours of Monday November 16th 2009. However treatment at the medical facility did not go well. Complications arose during the treatment process that worsened the condition of Sylva. Credible but unverified information indicate Governor Sylva's mental stability was compromised as a result. On Tuesday November 24th 2009, Governor Sylva was taken out of the New York treatment facility and flown to a psychiatric facility in India where he is now receiving treatment. Following the move, Mrs. Alaiyingi Sylva, the wife, left India for Nigeria. She arrived to Nigeria on Wednesday November 25th 2009. Gov. Sylva remains a patient at a mental facility in India. Meanwhile, in another development, the Peoples Democratic Party [PDP] in Bayelsa State attempted to hold a previously scheduled [Thursday, November 26th 2009] PDP primary, of which Ukpakareports.com has gathered, did not go well. This is as the State Governor, the Deputy Governor and the PDP State Chairman was out of State – and had no representative to sit in their place. And in talking with the PDP State Chairman over the telephone, he pointed out that he was not aware of a PDP primary being conducted in the State. This was also stated by one of the PDP Senators representing the State in the Senate. He told our correspondent that he was not aware of a PDP primary conducted in Bayelsa State. And so, Bayelsa finds itself at siege.